It is a constituent college of PIMS University, Loni, Tal. Rahata, Dist: Ahmednagar, near holy place Shirdi, Maharashtra, India. It was established in 1986 and is progressing steadily. 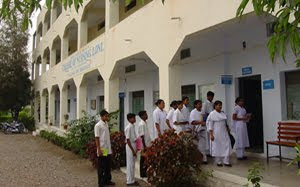 The college is located with natural healthy in the Pravara Rural Hospital Campus with an exclusive two storied building having all infrastructures that are required to prepare a competent nurse. 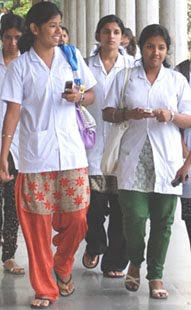 • To assume responsibilities as professional competent nurse and midwife in providing holistic care. • To assume role of care provider, manager, supervisor, teacher, researcher in different health care set up. 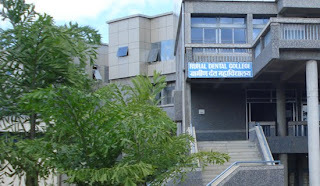 The Dental College was affiliated to Maharashtra University of Health Sciences, Nasik and University of Pune till it became a constituent unit of this University. The College and courses offered are recognized by Dental Council of India. 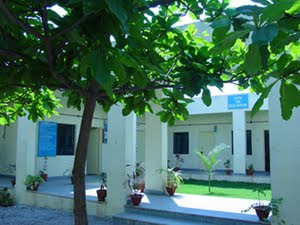 College has a teaching hospital with all specialties of dental surgery which provides routine & specialized diagnostic procedures including Orthopentogram and Cephalogram and treatment like Maxillo-facial and Orthognathic surgery and advanced conservative treatment, aesthetic dentistry, ceramics, cast dentures and Maxillofacial prosthesis. The students of this dental college are benefited with both high technological dental education as well as simultaneous exposure to the rural population through community based training. Extensive preclinical and clinical training is imparted to the students at Rural Dental College & Hospital as well as at its well equipped peripheral clinical wings. This is to inform you that, after 1st round of counseling for post graduate degree / diploma courses in medical faculty , held on March 15,2010 following general category seats remained vacant. Eligible candidates , who have scored not less than 100 marks in PIMS-AICET-PG 2010 entrance examination are requested to submit their application to the Designated Authority by fax/email before March 31,2010. 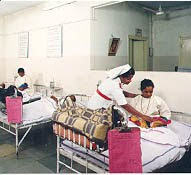 The trust started providing primary and secondary level medical care in 1976 with a modest hospital of 100 beds. Responding to the need of the area, over a period of time, the hospital grew into an 800 bed multi-disciplinary, super-specialty medical institute along with the other ancillary facilities. The Central library is central resource for current academic information and scientific literature of high quality. The library's holdings include almost 21,918 print volumes and nearly 7231 bound volume of journal's subscribed time to time besides around 291 journal subscriptions. The collections are focused on the University's main areas of competence, i.e. Medical, Dental, Physiotherapy, Nursing, Biotechnology. The university provides for, comfortable hostel acoomodation. 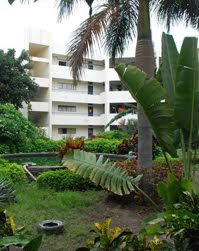 Adequate number of international standard hostels for undergraduate and post gradaute students of all disciplines (separate for boys and girls) with multi-gym, indoor sports and advanced communication facilities are provided in the campus. Hostel rules and regulation booklet given to student at the time of admission. Admissions to all courses offered by University is steered by Admission Committee consisting of experienced persons . General Category : 50 % seats of each course are in this category. The admission to this category is made on the basis of interse- merit of the candidates at AICET . Management Category : 50 % seats of each course are allocated in this category. The admission to this category is also made on the basis of interse- merit of the candidates at AICET . Research is an integral part of any academic, non-academic learning, innovations and developmental activities. 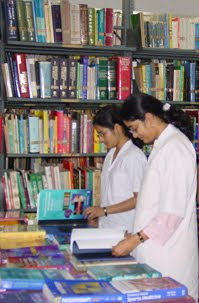 Research has always been a priority area in every discipline of medical science at Pravara Rural University due to factors like high incidence of communicable diseases amongst rural masses along with emerging and re-emerging diseases, increasing incidence of non – communicable diseases and inadequate health care delivery system. Research is also considered as an essential dimension for the growth and development of the institute. All research projects are carefully screened for quality, need based and their application in the rural health care delivery system. Multidisciplinary projects addressing the contemporary issues of medical and health sciences applicable to rural health remain on priority. The element of research is in ducted to medical students when they are in their 2nd M.B.B.S in the form simple applied projects. More complex research tasks are given to them while undergoing their internship.